To celebrate the launch of the Space for Ideas Competition, our partner Appear Here — the world’s leading marketplace for retail spaces — discusses why so many digital brands are choosing to appear in physical locations. To find out how you can enter the Space for Ideas Competition and win a spot for your brand in New York, Paris or London, head to their website. The digital world has burst into being over the past couple of decades, to much fanfare. But the physical one has been quietly reinventing itself as the growing online world has forced us to reevaluate what we use our physical spaces for. 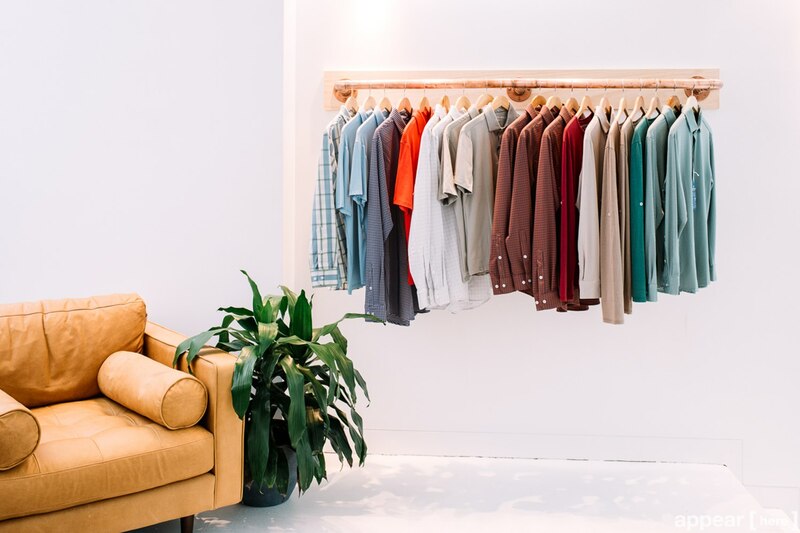 Although the notion of a “pop-up” store first emerged in LA in the 1990s, it’s only recently that brands big and small have started to see it not just as a novel idea but an integral element in their businesses’ development. And the timing couldn’t be better. While many assume that younger generations prefer shopping online, the majority actually shop in brick-and-mortar locations. In fact, according to a recent survey, the majority of millennials prefer to make their purchases offline. A study published earlier this year carried out by Mizuho Securities on 1,500 millennials found that 54% of Generation Z purchases are still made in physical locations. But this isn’t a case of either/or. And that’s where temporary retail space comes in. Ultimately, the benefits of a pop-up speak for themselves. 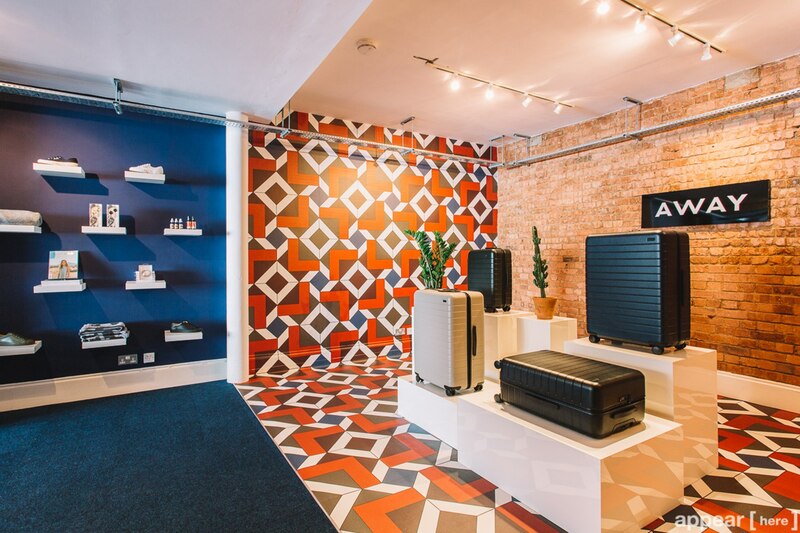 From generating publicity to interacting with new and existing customers — not to mention boosting sales — there are plenty of things a temporary retail space can do to enhance a brand. Whether you’re partnering with other businesses with a similar vision, testing an exciting new product or trying out a new spot in a new city, the opportunities are varied, and whatever the end goal is, you can learn a lot. We spoke to two digitally native brands that have used Appear Here to create their own physical experiences. The first is the NY-based luggage brand Away. Within a short time, Away went from being an unknown challenger in the stale luggage industry to selling the suitcase that everyone wanted to be seen with at check-in. Not only did Away create a great product, it also did its PR and launched a few well-placed pop-ups. The match was lit. “Our first shop in London helped establish Away’s international presence and allowed us to engage with a new community,” said Emma Bates from the brand’s global marketing team. Another brand that’s taken advantage of the opportunities provided by pop-ups is the direct-to-consumer men’s apparel brand Mizzen+Main. Appear Here helped the Houston-based brand find a shop on West Broadway that’s sure to make a statement through the end of the year. For Mizzen+Main, the best way to measure pop-up success was by counting sales and PR mentions, but its ultimate goal was to raise brand awareness. And through its pop-ups, Mizzen+Main learned it had garnered a serious amount of brand loyalty very quickly. For Away, the footfall in the physical shop led to an increase in online sales. So there you have it. In an increasingly digital world, word of mouth is still king. And the best way for anyone to experience anything is still in real life. You can connect with new audiences and build more meaningful relationships face to face. Whether it’s a new location, concept or product, pop-ups allow brands to quickly test their idea while minimising risks and costs. Retail is all about being in the right place at the right time. Pop-ups give brands the flexibility to do this, whether they’re opening a shop for a national holiday or a key moment in their brand calendar. 65% of millennials prefer to spend their money on experiences over products, and 73% admitted that a ‘fear of missing out’ is what draws them into purchases that offer these experiences. Physical retail today needs to cater to this. Feeling inspired? Enter Appear Here’s Space for Ideas Competition to win your own flagship store in London, Paris or New York. Plus the design, funds, and mentorship to bring it to life. Accept chip + PIN cards and Apple Pay everywhere. From chip + PIN and magnetic stripe cards to NFC payments, accept every way your customers want to pay.